December 21, 2016. 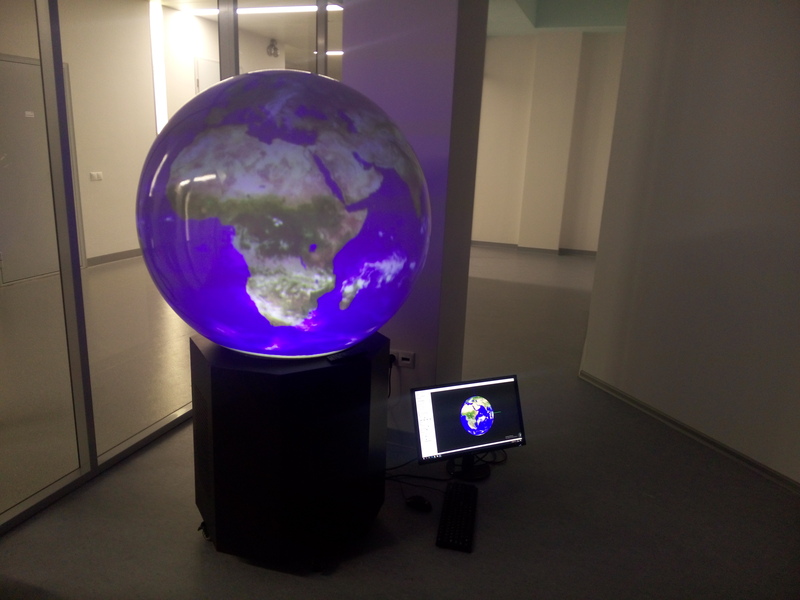 As part of the agreement №194 between Geophysical Center of RAS and the Federal State Autonomous Educational Institution "Novosibirsk State University" R&D works were carried out on the theme "Development of a prototype of hardware and software system with a spherical screen running Orbus software". This system can visualize any geospatial data in the form of dynamic presentation. It is especially important for Earth sciences, because a spherical screen can visualize any natural phenomena in dynamics, and in real time. The use of these technology is particularly relevant for educational purposes, as it increases the level of involvement of students in the study of problems related to geoscience. Demonstration centers with spherical screens are widely used in leading museums around the world, such as the Museum of Science, Chicago, USA, the Natural History Museum in London, United Kingdom, Hong Kong Space Museum, China and many others. The system was developed in Russia for the first time and has no equivalents in our country.